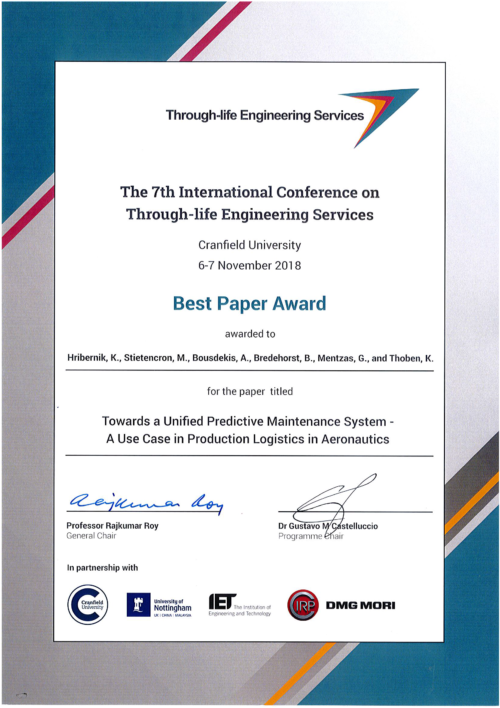 The paper entiteld “Towards a unified Predictive Maintenance system – a use case in production logistics in aeronautics” was presented by Karl Hribernik from BIBA – Bremer Institut für Produktion und Logistik – at the 7th International Conference on Through-life Engineering Services took place on 6th & 7th Nov 2018 at Cranfield University, UK and has received the Best Paper Award. The paper examines a use case in the maintenance of equipment (“jigs”) for the transport of wing upper cover manufactured by a transnational aviation OEM. High-quality, complex products such as airplanes are not produced by a single organization in a single production facility. Rather, a network of highly specialized suppliers collaborates with often geographically distributed OEM facilities that focus on specific parts of the product. This means that an appropriate predictive maintenance strategy must not only consider multiple stakeholders and locations in the production processes themselves, but also the production logistics processes and their stakeholders. Based on the analysis of the use case, the paper derives the requirements for a predictive maintenance system and projects these to current state-of-the-art standards such as MIMOSA OSA-CBM and RAMI4.0. 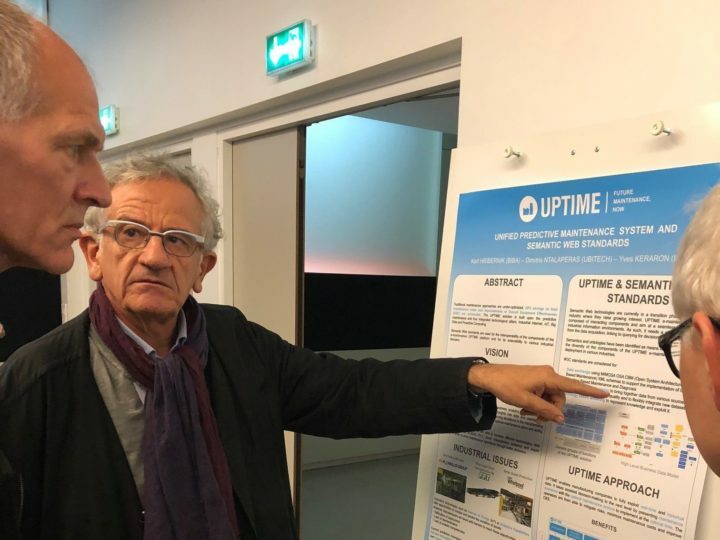 It proposes a unified predictive maintenance system for optimizing device maintenance procedures and presents initial results in the form of applying a conceptual architecture to the problems identified in the application. The presentation slides are available for download at UPTIME Presentations page. The paper is accesible at UPTIME Scientific Publications page.